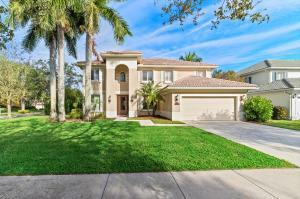 1139 Egret S Circle Jupiter, Fl 33458 has been sold. BEAUTIFUL 6 BEDROOM, 3 BATH POOL HOME IN THE HIGHLY DESIRABLE EGRET LANDING. UPDATED KITCHEN WITH GRANITE COUNTERTOPS, STAINLESS STEEL APPLIANCES AND PLENTY OF STORAGE. COFFERED CEILINGS THROUGHOUT KITCHEN AND LIVING AREA. SPACIOUS MASTER BEDROOM WITH SITTING AREA. KITCHEN AND LIVING ROOM OPEN OUT TO A COVERED PATIO WITH SCREEN ENCLOSURE AND PRIVATE POOL WITH SPA. GREAT FOR ENTERTAINING. CLOSE TO ABACOA TOWN CENTER, ROGER DEAN STADIUM, A RATED SCHOOLS AND DINING. 1139 Egret S Circle located in Jupiter, FL is a single family home with 6 bedrooms, 3 full baths and 0 half baths.The Home at 1139 Egret S Circle was built in 2001 in Egret Landing and offers a 2 car garage. This Egret Landing Home offers pool, tennis, clubhouse. 1139 Egret S Circle Jupiter, Fl is currently listed for $635,000 under the MLS# RX-10484913. This Home has been put on the Jupiter MLS system and currently has a status of SLD.